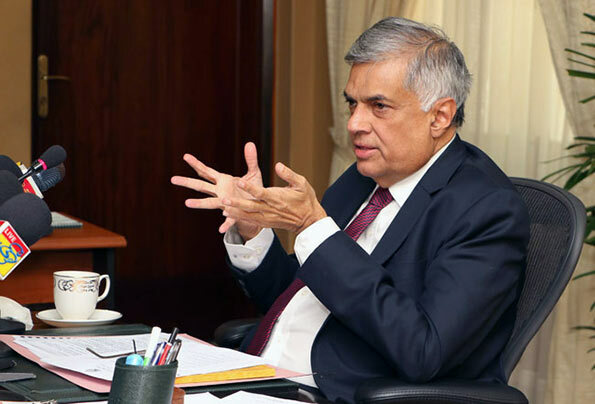 Better air connectivity was needed to boost tourism and the Eastern Province economy, Prime Minister Ranil Wickremesinghe said yesterday, predicting that the East will soon get a new domestic air service. “Already, four companies have voiced interest in setting up a domestic air service in the east,” the Prime Minister added. The Prime Minister was speaking at the opening of several new buildings for the Batticaloa Manmunai Pattu and Eravur Divisional Secretariat offices. Prime Minister Wickremesinghe said that a domestic air taxi service will be a tremendous boost to tourism in the area and added that hotels and other facilities too will have to be expanded in order to meet the growing demand. The Premier said the government has identified transport as a major obstacle to further improve tourism in the East and added that with the development of the Mattala airport and a domestic air service in the East, this can be overcome. “Presently, tourists mainly visit the East from June to October. With the expansion of transportation and other facilities, we can make East a tourist hub throughout the year,” the Prime Minister said. While recalling that in 2015, the government had to take over a debt ridden economy due to the economic mismanagement of the previous regime, the Premier said the government was compelled to increase taxes to pay the massive loans taken by the previous rulers. The Prime Minister said the country’s economy was on a better footing now and the government was able to spend money on development. Ah! Another predicting. What will be the next? Volkswagen factory, Economic hub of the world. paradise in 2050. ( by that time I will be dead and he will of age 250 ) Mega city with mono rail links, three state of the art hospitals., list goes on. Super prime minister, so clever put other prime ministers tp shame. Carry om Ranil. Air Connectivity or Air Disconnection? Mattala gone bro.